We are pleased to announce that we are going to be producing some Nip Raviolis! 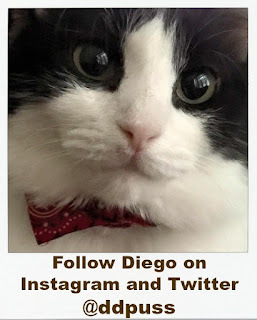 Produced for many years originally by the staff of Hot(M)BC, we have graciously been given use of the name "Nip Ravioli" and intend to produce them for sale and to donate to Cat Blogosphere auctions and fund raisers. 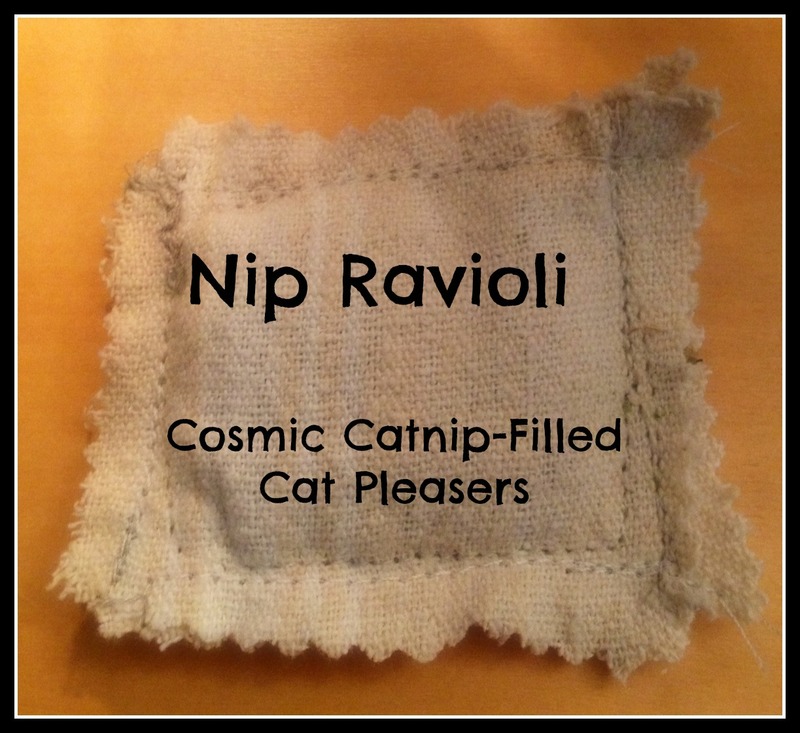 Crafted with pre-washed fabric and 100% organic catnip, our Nip Raviolis are approximately each 2" x 2". We're going to offer them for the holidays at an introductory price of $4 for five raviolis, which includes free shipping to any address in the USA. We've found that to ship 5 of them costs about $2 via first class mail, so we think this is a pretty good deal! Until we get some batches set up at Etsy for purchase, you can email us at Purr2Dream at Gmail.com to order some. The Purries here LOVE these, and we find that they lick lick lick them as well as play with them, which is why we've decided to go for pre-washed fabrics, to get the sizing out. We've also found that after the cats lose their initial interest in them, and they get soggy, microwaving them for about 20 seconds really helps to revive interest in them - just please make sure you allow them to return to room temperature before giving them back to your cats! Nip Ravioli??? Sounds good to us!!!!! Oh these could be fun! Cheysuli at mysiamese dot com. And of course you can contact my purrson on Facebook. We are very excited to see these again! kathompson@gmail.com ... it's the Woman's email but she checks hers more than mine. Heck, I might even be signed in on her account. Oh, Yum..... China Cat & I would love to try out your Nip Raviolis! Send your snail mail address to Purr2Dream at Gmail dot com, and we'll send you some Nip Raviolis to try out! Concats guys! We is so glad you is doing thems now. Yay! My kitties love the ravioli. They are steeling them from each other, and rubbing their faces all over them. Well, they were, until they fell asleep. They are a hit. 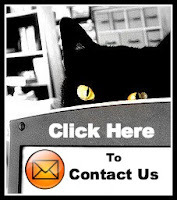 But all spam comments will be deleted - so don't even bother spamming us, or we will scratch your eyes out!!! Pray for Global Peace. To see a list of Peace Bloggers, click here. Happy Belated All Cats Day! Get Your Globe On! Peace Out, Kitties! On the catio this afternoon with Diego.